The golden thread running through the annual Carlos Cardoso Memorial Lecture was the vital role journalism plays in upholding and promoting democratic societies. Vice-Principal of the University of the Witwatersrand, Professor Tawana Kupe, opened the memorial lecture held at the 14th African Investigative Journalism Conference at Wits University on Tuesday, October 30. He described Cardoso, the Mozambican journalist killed in the year 2000 while investigating corruption, as “a journalist of brave independent journalism”. Kupe said investigative journalism is a powerful tool for defending democracy when it’s under attack and encouraged the audience to ensure that investigative journalism grows. “Investigative journalism is the lifeblood of society,” he said. 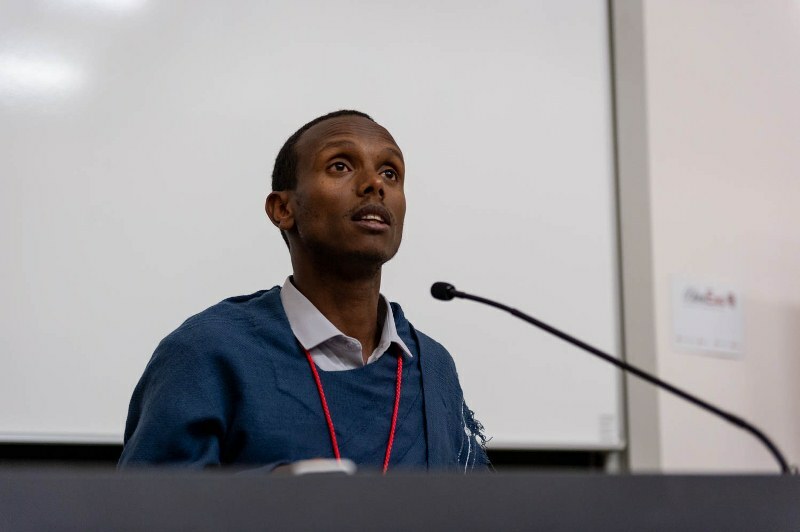 Kupe opened the floor for Ethiopian writer, blogger and activist, Befekadu Hailu Techane, who started his address by saying he had received authorisation from the Ethiopian government to address attendees at the lecture. The bleak picture he painted of the lack of press freedom throughout Ethiopia’s history made it clear why getting authorisation to deliver the lecture would have been necessary for him. “Media is the soul and flesh of democracy, therefore it is easy to imagine that Ethiopia has never had a strong, independent media,” Techane said. He made special mention of the way in which journalists in Ethiopia have been jailed in the past because they dared to break the silence and defy government prescription of what should be published. Techane, who has been jailed four times, shared a cell with renowned Ethiopian journalist, Eskinder Nega. This was Techane’s fourth time and Nega’s ninth time behind bars. During a previous jail sentence he was locked up with his pregnant wife, Serkalem Fasil, who had to give birth in jail. Following recent political changes in Ethiopia, Techane says “Ethiopia is back to optimism again”. Previous websites that were blocked have been unblocked and Nega has launched a weekly newspaper. Techane says his hope is that previously repressive laws will be reformed. He wants to institute human rights activism and freedom in his country but called on the international community for assistance. “We need the global media community to join in assisting with the transformation of media in Ethiopia,” he said.